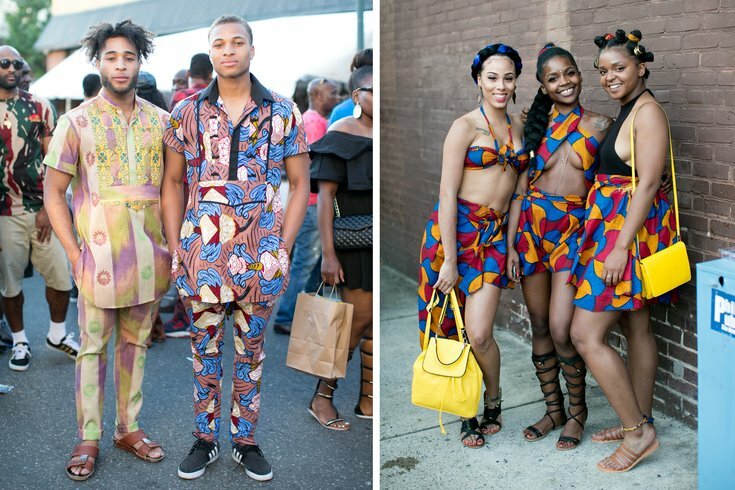 Kingsley and Alex Ibeneche, left, and Cara Jacques, Jasmine Larmond and Nicole Howard at the Odunde Festival in 2016. Philly's annual Odunde Festival is the largest African-American street festival in the United States. It will return for its 43rd year on Sunday, June 10, from 10 a.m. to 8 p.m.
Attendees can expect eight hours of continuous live entertainment on two stages, an authentic African marketplace and a variety of African, Caribbean and Soul food. The festival, which is free to attend, will span 12 blocks in the Graduate Hospital neighborhood.